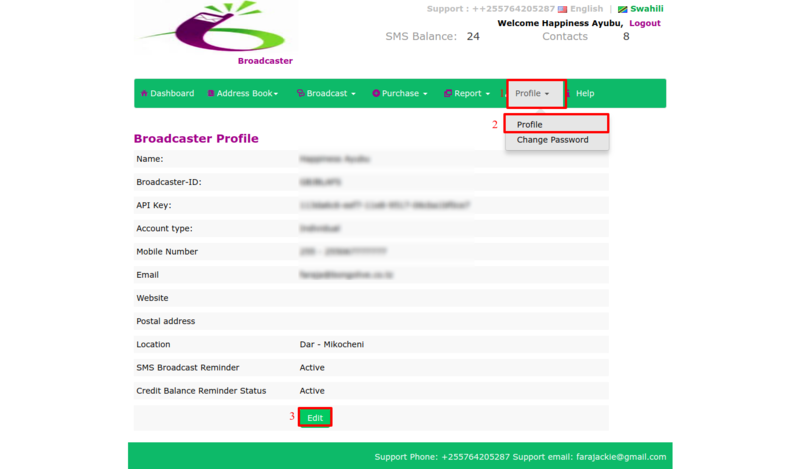 To manage your Broadcaster Profile click on “Profile” on the main menu. 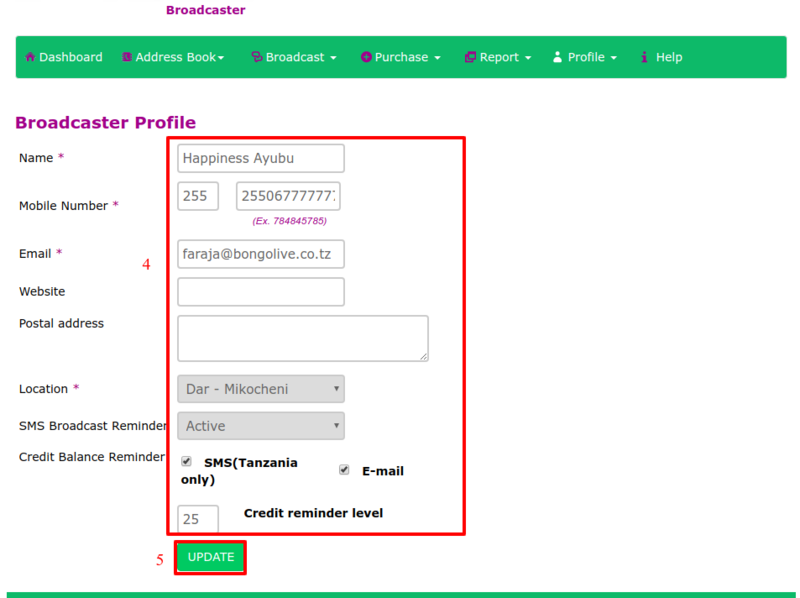 Choose “Profile” on the drop down menu. Click the “edit” button at the bottom. Edit your credentials by filling the boxes. When done, click “Update” You will get a notification that “Profile Updated” as shown below.